In the coming years, India will see an increased penetration of global brands from these three categories into the country. The already existing international players along with the Indian ones will increase their market penetration beyond the tier-1 cities into more tier-2 regions. With a higher chunk of the population giving into the urge to shop and eat out, courtesy higher product and segment awareness amongst the target audience, brands are likely to do better in the years to come. This also means that companies who fail to continually keep their target audience engaged through quality offerings and services will unfortunately be edged out of the competition. Technological innovation to ease the process of purchase, loyalty programs, concierge services will be adopted by an increased number of brands to engage their database and induct more people into the existing customer fold. According to the India Brand Equity Foundation, the Indian retail industry has emerged as one of the most dynamic and fast-paced industries due to the entry of several new players. According to data, it accounts for over 10 per cent of the country’s Gross Domestic Product (GDP) and around 8 per cent of the employment. India is the world’s fifth-largest global destination in the retail space. Substantiated by relevant reports, the overall retail market is expected to grow at 12 per cent per annum, modern trade would expand twice as fast at 20 per cent per annum and traditional trade at 10 per cent. Retail spending in the top seven Indian cities amounted to Rs 3.58 trillion (US$ 57.6 billion), with organised retail penetration at 19 per cent as of 2014. Online retail is expected to be at par with the physical stores in the next five years. Franchising has played a significant role in aiding to the growth of the retail industry. Globally, according to a news report by Business Insider, the top 5 franchises for 2015 include names like The Hampton Hotels, Anytime Fitness, Subway, Jack in the Box and Supercuts. High Street Phoenix has more than 500 brands under one roof in the mixed-use development model and we have taken cognizance of the pertinence of the fashion, hospitality and beauty segment, thus ensuring our brand mix is centered around these three. To analyse in-depth, the F&B sector is a clear frontrunner. Globally, The Boston Consulting Group has forecasted that the market size for food in India, which was at Rs 23 lakh crore in 2014, is set to reach Rs 42 lakh crore by 2020. Abu Dhabi-based Lulu Group plans to invest Rs 2,500 crore (US$ 402.0 million) in a fruit and vegetable processing unit, an integrated meat processing unit, and a modern shopping mall in Hyderabad, Telangana. Aditya Birla Retail, a part of the US$ 40 billion Aditya Birla Group and the fourth-largest supermarket retailer in the country, acquired Total hypermarkets owned by Jubilant Retail. US-based Pizza chain Sbarro plans an almost threefold increase in its store count from the current 17 to 50 over the next two years through multiple business models. Premium chocolates are gaining share just like premium biscuits, as structural income is supporting the consumption. With rising urbanisation, Indian food market constitutes 41 per cent of fresh perishable dairy, 34 per cent staples and 15 per cent on beverages and foods. Indian food habits are seen to be changing gradually and consumer mindset about healthy foods has shifted with users being ready to pay more for products that claim to boost health and weight loss. While supermarkets aided Indian housewives, retail trends indicate that convenience is gaining premium while health and hygiene have gained prominence in the food segment. This explains the growing popularity of brands like Foodhall, located at Palladium, which offer gourmet food products. New players are making an entry into the market cashing in on this health food boom courtesy more consumers’ growing interest in fresh, natural and organic products. Coming to fashion retail which constitutes apparel, footwear and accessories, some of the biggest names when it comes to market share and penetration are Shopper’s Stop, Pantaloons, Westside, RPG, Lifestyle, Globus and Piramals. With the average Indian becoming a global traveler, a higher proportion of consumers are leaning towards international brands. 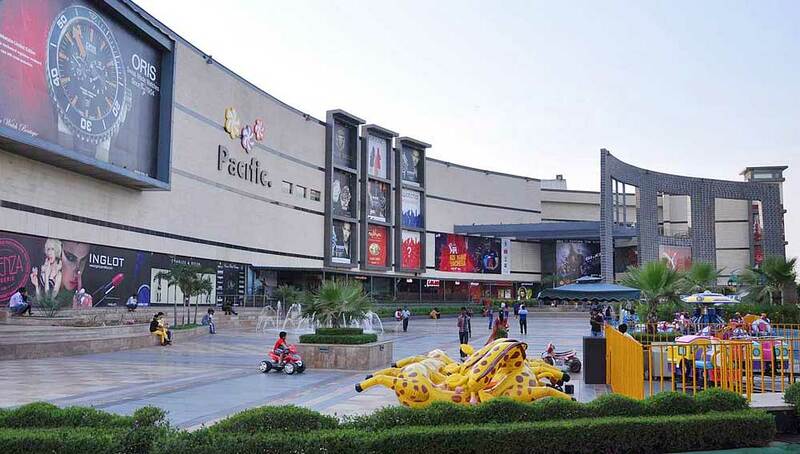 Hence, the latest trend is that of global fast-fashion brands like H&M, GAP, Zara, Forever 21, Sephora & Starbucks becoming the anchor tenant of choice for big-ticket retail players. Also with higher incomes, couture is a highly lucrative niche segment. Designer wear, both haute couture and prêt lines are fast becoming commonplace. Other growing segments include Sportwear, Lingerie and Innerwear along with office wear. A rising segment is that of eco-fashion, with more shoppers preferring environmentally conscious garments. The third category of cosmetics is a goldmine for retail players. The entry of more number of cosmetic brands in the Indian market with increased new launches has also been provoked by growing demand of branded products among people owing to aggressive advertising strategies of players. Consumers are increasingly shifting towards ‘natural’ and ‘herbal’ cosmetic products with herbal cosmetic products increasing their foothold in the Indian cosmetics industry thanks to growing demand for natural products and awareness about their benefits among the population. Also women are spending more on cosmetics since they are earning actively and spending money on grooming themselves. Besides, rural India is also showing its willingness to look attractive. The color cosmetics market is growing at a rapid rate in comparison to other segments. The rising beauty concerns among men and women alike are propelling the Indian cosmetic industry. The cosmetics market, once female dominated, has started earning high revenues from male counterparts as well, by catering to male-specific needs especially in creams and lotions. The revenue generated through male cosmetic market has increased the total revenue of Indian cosmetic industry. Some of the major players in the cosmetic brand segment are Lakme, Lotus, Biotique, L’Oreal, Revlon India, Maybelline, Himalaya, Colorbar and Elle 18 basis market penetration and market share. However, we at High Street Phoenix & Palladium focus more on premium brands like Bobby Brown, Chanel, Clarins, Clinique, Estee Lauder, Kiehl’s, Lancome, Loccitane, M.A.C., The Body Shop because we cater to the more discerning shopper with higher spends on beauty and increased brand loyalty towards more high end product. The Boston Consulting Group and Retailers Association of India published a report titled, ‘Retail 2020: Retrospect, Reinvent, Rewrite’, highlighting that India’s retail market is expected to nearly double to US$ 1 trillion by 2020 from US$ 600 billion in 2015, driven by income growth, urbanisation and attitudinal shifts. This spells good tidings and many a reason to cheer for the Indian retail sector. Author- Rajendra Kalkar is President (West), The Phoenix Mills Ltd.